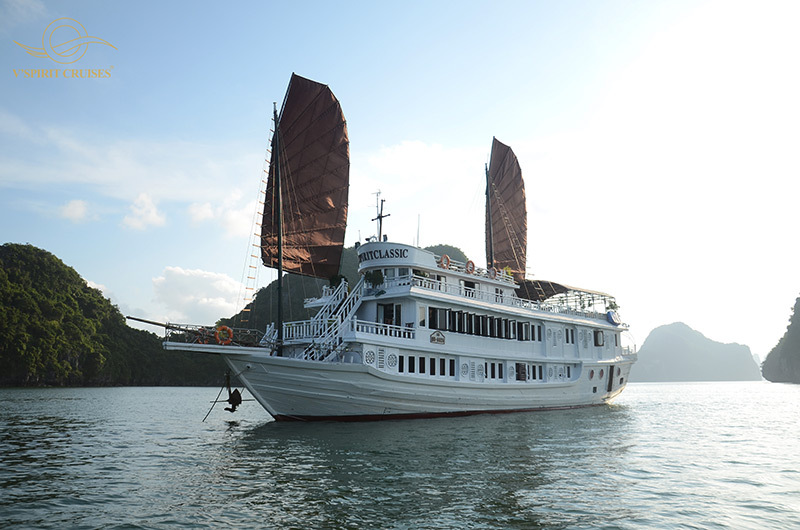 Starlight Cruise is proud to be the newest luxury cruise on Halong Bay. 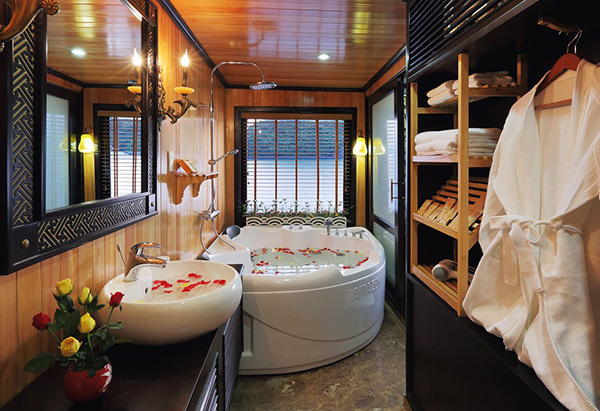 The cruise provides 32 cabins with five stars standard facilities: large & comfort bedrooms, luxury restaurant, stylish bar, and offers many other leisure facilities such as Dry Sauna, Jacuzzi, Body Massages, Beauty Treatments and specially: a mini golf course. 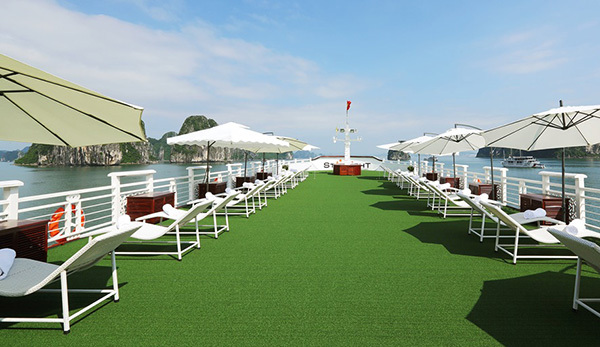 Start Light cruise is a new product of luxury cruise in Ha Long Bay, launched on 2013 with 30 luxury cabin, 2 Restaurant & bars and the spacious area of more than 600 m2. 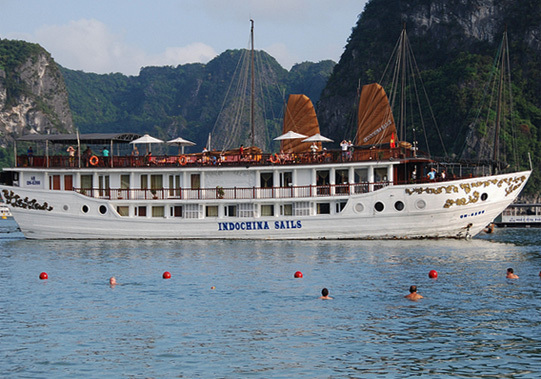 We have a professional, hospitable and friendly staffs & crews that will bring the passenger the best relaxing time onboard. 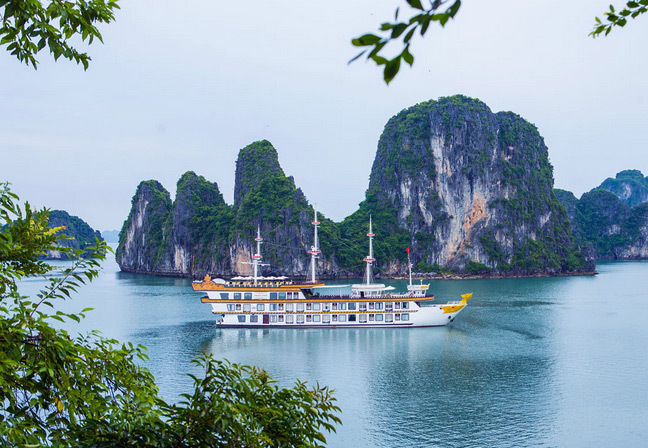 The 02days/1 night itinerary will give you a chance to see all the view of the bay as well as islet and nicest caves in Ha Long Bay. 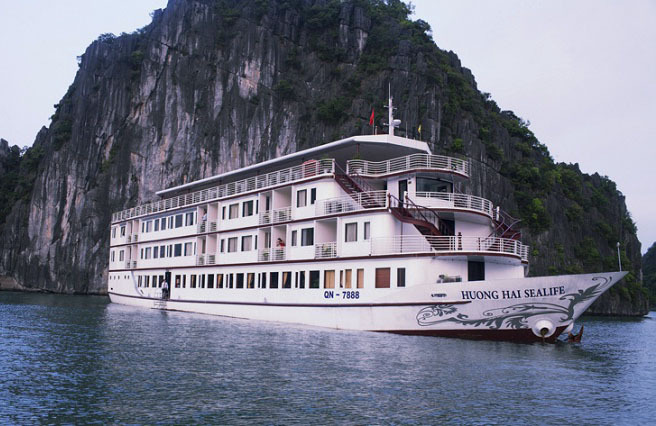 08h00: pick up in Hanoi and transfer to Ha Long Bay. 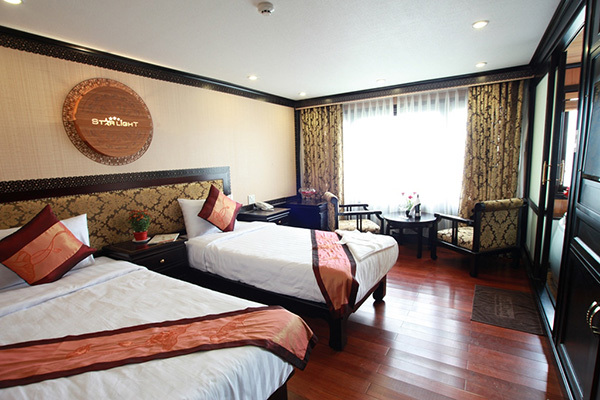 Check-in Wharf, check in Hong Gai Tourist Wharf. 06h30: Welcome a new day with amazing dawn on the Legendary Gulf of Tonkin. 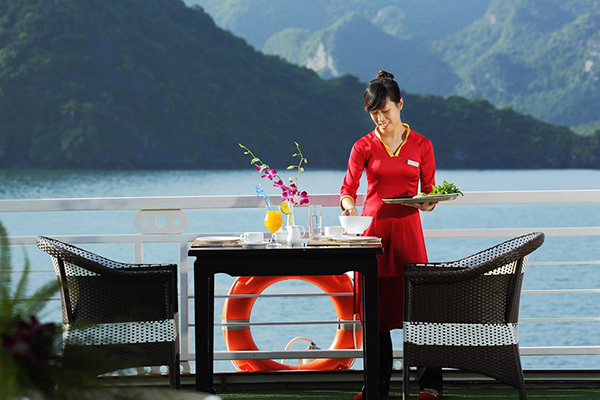 Refresh your body & soul by a Tai-chi lesson on sundeck. 12h00: Disembark. Cruise ends. 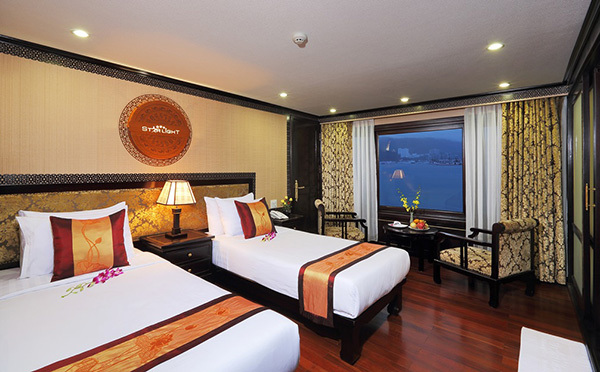 then take bus drive back to Hanoi. Trip en in Hanoi round 4:30 pm. 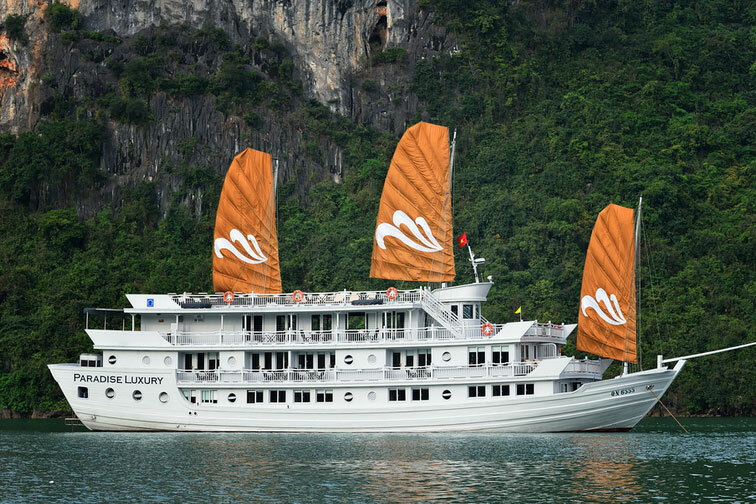 Startlight cruise is a new product of luxury cruise in Ha Long Bay, launched on 2013 with 30 luxury cabin, 2 Restaurant & bars and the spacious area of more than 600 m2. 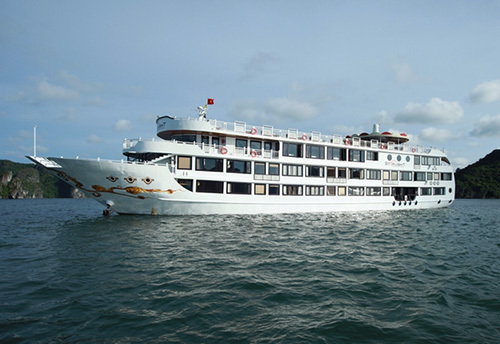 We have a professional, hospitable and friendly staffs & crews that will bring the passenger the best relaxing time onboard. 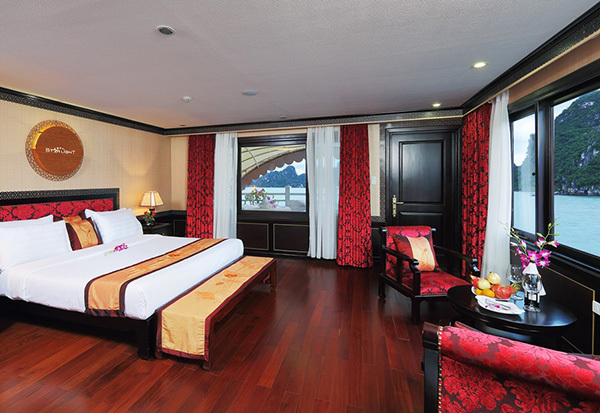 The 03days/2 nights itinerary will give you a chance to see all the view of the bay as well as islet and nicest caves in Ha Long Bay. 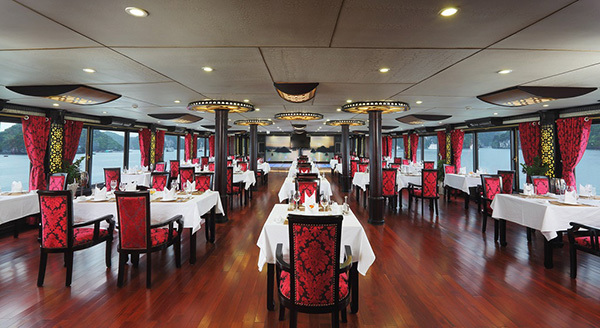 12h00 – 12h30 Embark Cruise. 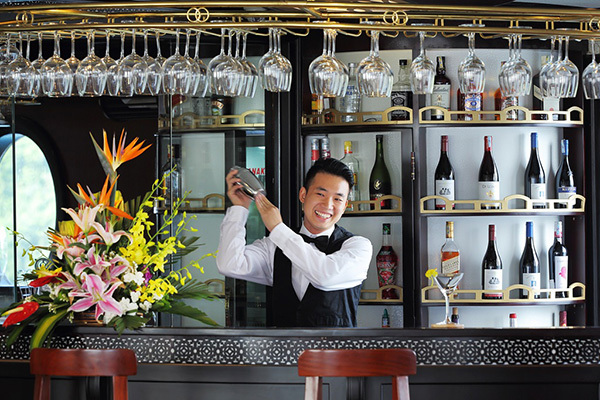 Enjoy welcome drink and get a brief introduction about cruise and safety guidelines. 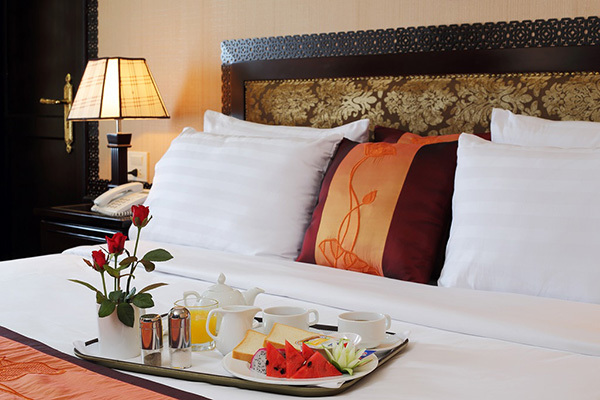 Check-in your cabin. 07.45: Arrive at Cua Van (Van Gia) Fishing Village, take rowing boat through the village to touch local life. 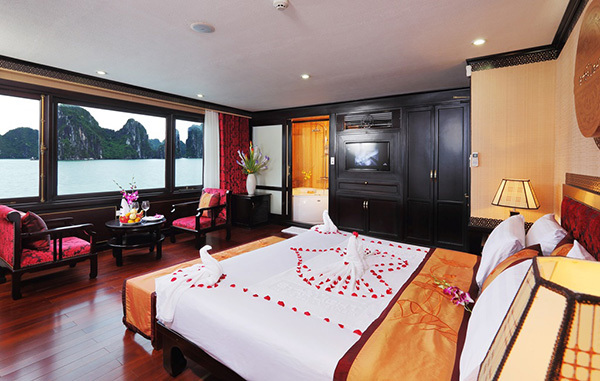 15:00: Arrive Hanoi. Trip Ends. 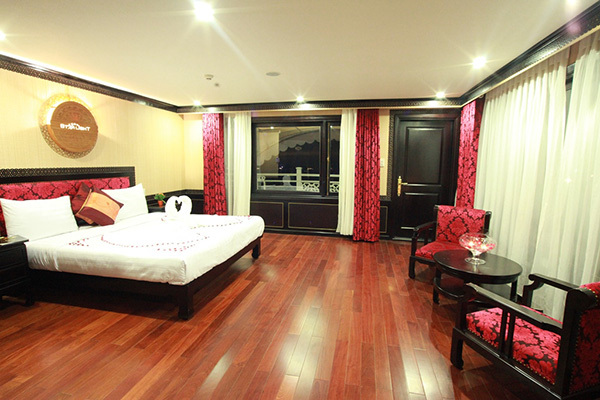 Finish the trip at hotel in Hanoi. Good bye & see you again. 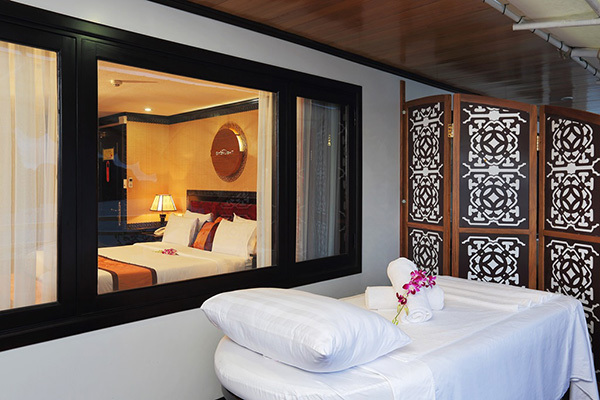 Halong Starlight Cruise features 32 comfortable rooms, wide and free front deck for viewing & photo shooting, special mini golf on board and separate swimming deck that is relax and comfortable space.